Black Friday is quickly approaching. If you run a retail business, now is the time to make a plan to ensure your success. R&S Logistics has the tips you need to get ahead for the holiday season. Make an early game plan to offer your customers enticing deals for their Black Friday shopping. You’ll need a strategy to communicate the specials with your target customers. An omnichannel marketing campaign which combines digital and print advertisements is especially effective to bring in more customers. Considering that the majority of Americans use smartphones today, every retail business needs to have a mobile marketing strategy. That means your company’s website should also be optimized for mobile devices so it’s easy to open and navigate with a smartphone or tablet. To ensure your Black Friday success, you have to analyze your sales data. Definitely integrate CRM (customer relationship management) software into your business as soon as possible. CRM software will let you effectively analyze your marketing campaign and sales data. You can compare this data along to your prior year’s data of Black Friday sales and traffic data to create a stronger strategy for an even better Black Friday sales outcome. Don’t overlook the power of Social Media to engage with your customers. You can use platforms like Facebook, Twitter, Instagram and snapchat to help spread the word about your Black Friday specials and to get your customers more excited and engaged about your business. Advertise your holiday hours several times in a day ahead of Black Friday. Post daily updates to your Facebook business pages to generate more buzz. Step up your customer service in the days before and following Black Friday. When you can demonstrate a caring presence for your loyal customers by answering their questions and addressing their concerns promptly and courteously, it will only strengthen your business and Black Friday outcome. Remember that loyal customers tend to prefer total value over the price. Specifically for the holidays, it makes sense to offer value-added services like free gift wrapping, live music, and refreshments. Black Friday may only be one day, but your ultimate goal is for continuous sales. This holiday season R&S Logistics is your expert partner in all things regarding logistics and your global supply chain. We are here to help your business grow in every way and will custom fit a solution for you. Visit our website today to learn more. Running a successful business today depends upon a strong supply chain strategy. If you’ve been overlooking your strategy, it’s time to change that. You don’t have to be an expert yourself, but you certainly need an expert partner. Luckily for you, R&S Logistics is that 3PL partner you need for an effective strategy. Why does a strong supply chain strategy matter? What goes into a strong supply chain strategy? Proper design of the supply chain itself, means efficiency in outbound distribution from plants and warehouses. 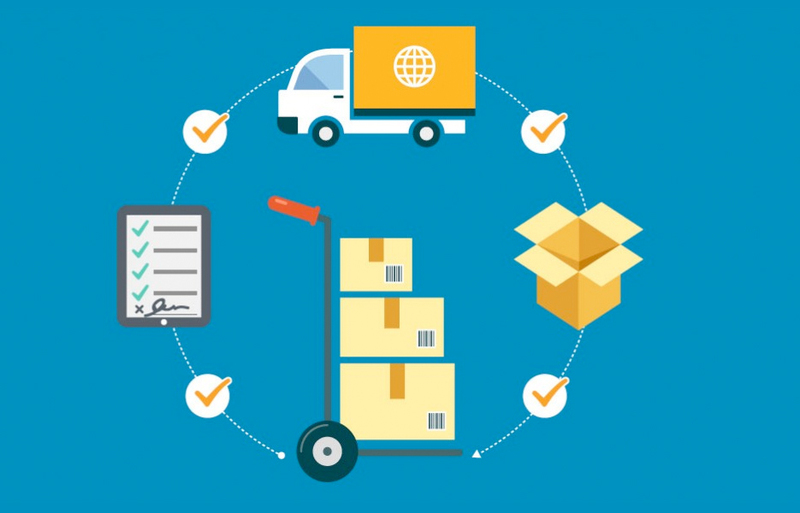 Depending upon your actual business, you might discover that there are no clear cut maps for moving materials and products through the various stages of fulfillment. Your 3PL partner can help you review and optimize your strategy rather than waiting for a problem to arise before it can be addressed. For ideas on how your business can have their supply chain needs optimized, check out this year’s top supply chain trends.. Profitable revenue growth and customer satisfaction are the two main indicators that your supply chain strategy is a success. The performance of your supply chain is going to directly impact your customers’ experience. Problems with your supply chain will not just result in slow time to market for new products and long delivery lead times. Your entire line of quality will suffer and your customers will not want to continue doing business with your company. Are you ready to upgrade your supply chain strategy? The experts at R&S Logistics are standing by to answer your questions and get you on-board today. Visit our website today or call us anytime at 865-988-7557.